Koolance rolls out the CPU-380I and CPU-380A, two new waterblocks for Intel and AMD processors, respectively. Both models are priced at $74.99 and are immediately available from Koolance's webshop. The new CPU-380I (Intel sockets) and CPU-380A (AMD sockets) are now available. 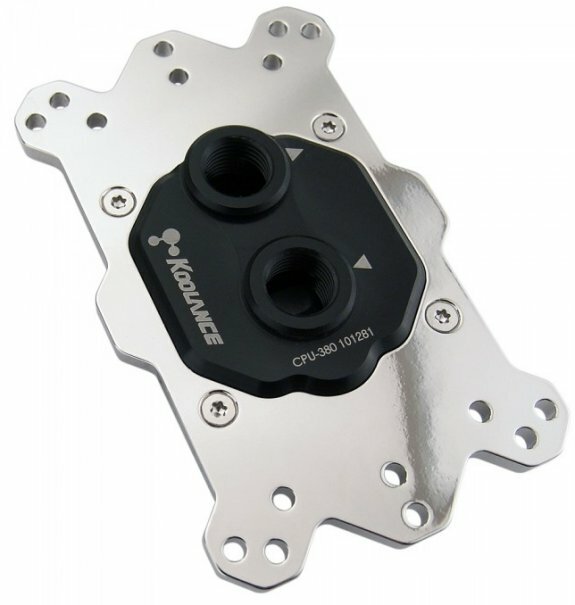 The Koolance CPU-380 sets a new standard for manufacturing quality and thermal performance. From the microfin cold plate and flow path to the mounting hardware, every aspect of the block has been refined with unprecedented results. 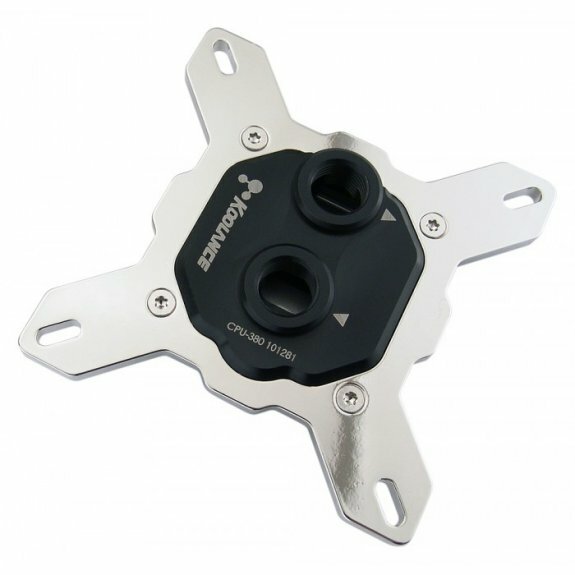 It features a microfin nickel-plated copper cold plate, acetal top, and thick steel mounting bracket. Standard G 1/4 BSP threading will accept any Koolance fitting diameter up to 19mm (3/4in) OD compression style.